An American in Moscow: Inflation Expectation? Since my residency began in Moscow over two years ago, the US dollar - Russian ruble exchange rate has been relatively stable and within a 15% range. This would be a wide and volatile range if currencies of developed economies were to be compared, but Russia is a developing economy, making this a tolerable range. At the same time 10 ruble coins were just coming into existence while 10 ruble bills were just being phased out by the Russian central bank. Attitudes towards Russian change are different now. 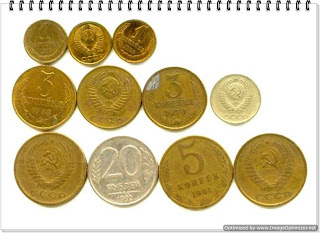 At least in downtown, kopek coins are almost never traded; 1 and 2 ruble coins seem to have taken their place as the minimally acceptable change. Moreover, when I try to unload a pocket full of change, for example for a bottle of water or a metro ticket, my payment method is universally rejected. Vendors, including those who act on behalf of the government, want to see as few coins as possible. In the same context, I noticed some retaliatory behavior by vendors. I made a purchase today for 375 ruble. I paid with a 500 ruble bill and included two 10 rouble coins and five 1 ruble coins, expecting a return of 150 rubles with one 100 ruble bill and one 50 ruble bill. 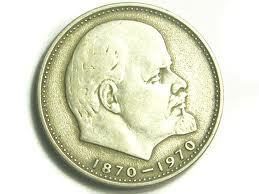 After having received the 100 ruble bill, I then received 50 roubles in combinations of 1 and 2 rouble coins. It was as if I were being punished for having put forth the small change. This stands in stark contract with my experience in Western Europe over the previous two weeks, where I spent three different currencies in four different countries. The Brits and Swiss respect their coins and accept them without any question. The Germans and French, despite having been through a euro-style roller coaster as of late, still honor their small change with dignity. It should also be pointed out that Western Europe has a rather modest inflation, compared to Russia's 8% inflation in 2011. Perhaps, the attitude on Moscow's streets is reflective of expected inflation going forward, and the desire of getting rid of the small change indicative that the populace is gearing up for using larger denominations for smaller purchases.